This is Mammoth's biggest mattress standing one foot deep. 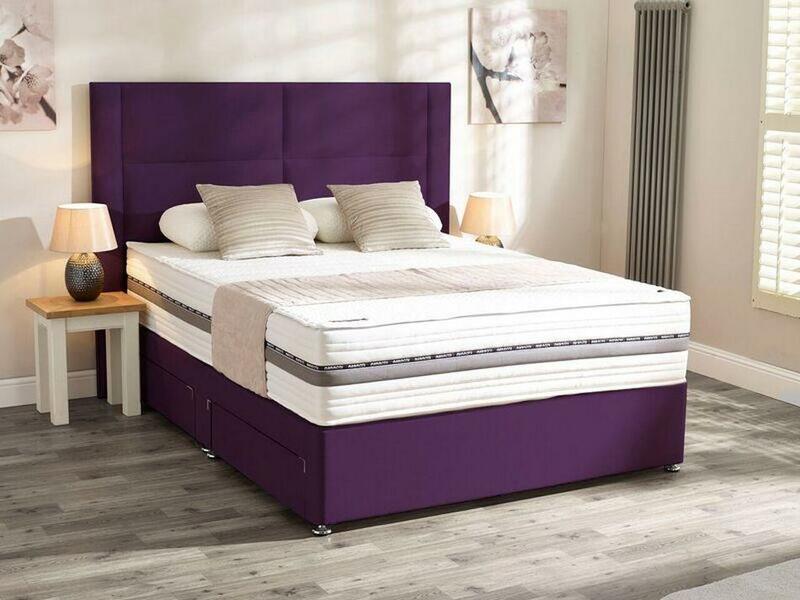 It is widely thought that bigger is better when it comes to your mattress, and this mammoth sized mattress is ideal for that. The 'Mammoth' Mammoth is 30cm in depth where the entire depth is constructed entirely from Mammoth's Medical Grade Foam with V-Max Cell technology. Mammoth Mattresses incorporate a zip off mattress protector which can be washed at 30 to ensure the hygiene and longevity of your mattress. 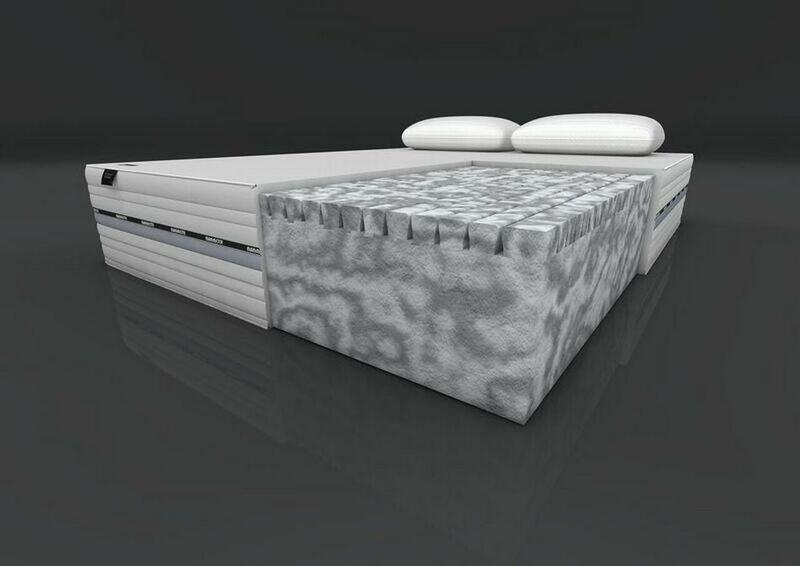 This cover also has a four way stretch which ensures the mattress woulds to your body perfectly. All Mammoth Performance mattresses feature V-Max Cell Technology. These are a series of unique V-shaped cells and channels that combine perfect pressure relief, with cooling airflow, moisture evaporation and allergen dispersal. Essentially you are kept breathing freely at a comfortable even temperature, with full postural support all through the night. It is this technology only, when combined with Mammoths High-Specification Medical Grade FoamTM that has been proven to enhance your sleep. 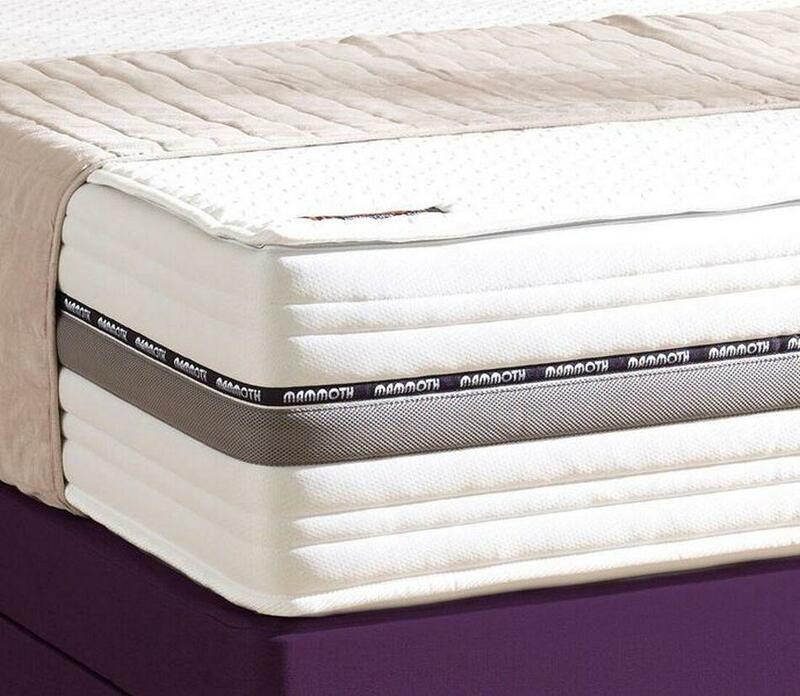 Mammoth mattresses use a Medical Grade Foam which is designed to keep your spine perfectly aligned reducing back, shoulder and hip pains. Question 1. Is it Memory Foam? In a word, no. 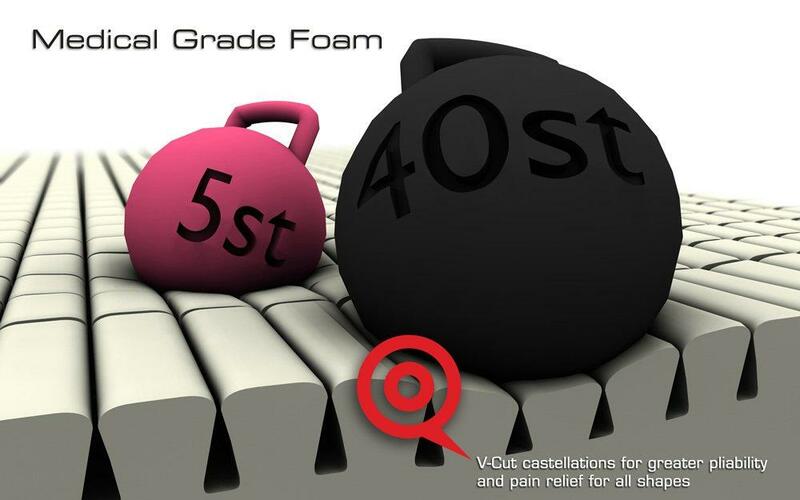 High-Specification Medical Grade Foam supersedes visco-elastic foams (or memory foam as it is widely known). 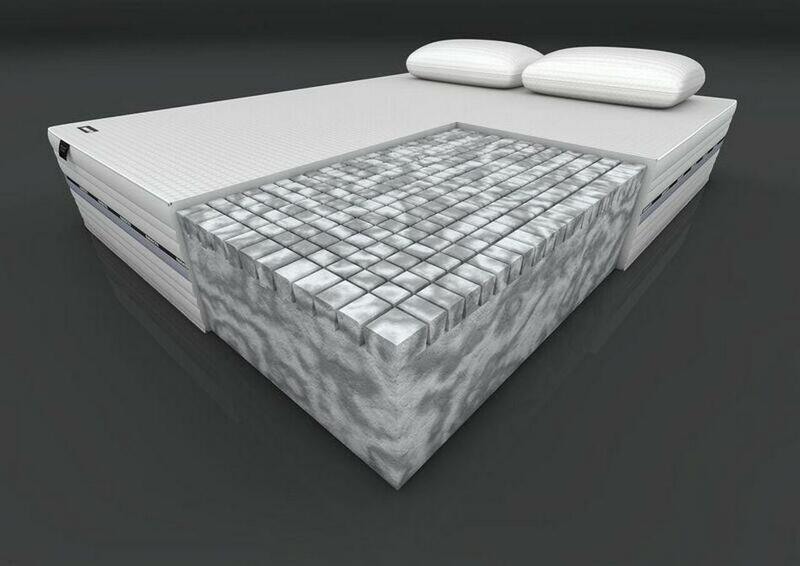 Under strict controlled medical conditions, the Mammoth mattress design was proven by the Institute of Orthopaedics & Musculoskeletal Science, Middlesex, UK, to be more efficient at pressure relief and temperature control. Also, it lasted longer a real testament of quality. Question 2. Does it get hot? Again, no. Whilst memory foam requires heat to work, High Specification Foam does not. With the V-Max Cell Technology providing permanent airflow through the mattress, Mammoth users do not experience the same over heating that has been reported on memory foam products. Question 3. Will I get locked into position? And again, no. 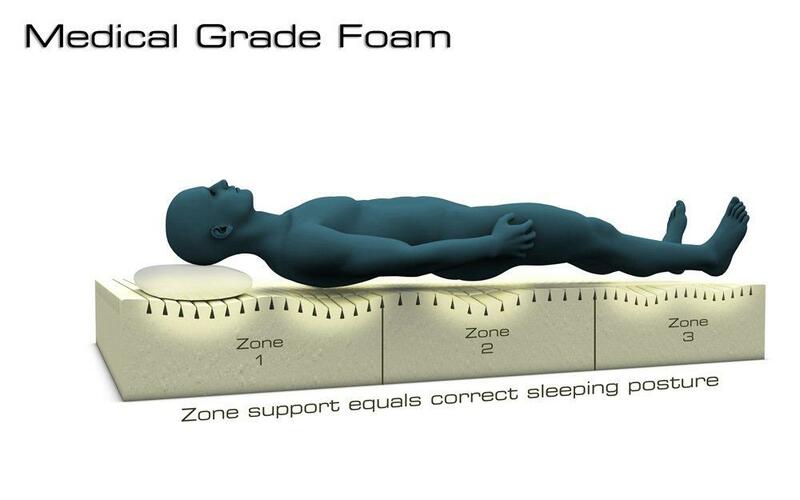 Whilst memory foam products lock you in position, and therefore you turn less at night, recent studies have shown this is not necessarily a good thing.